For many, the desert brings up thoughts of desolation and dehydration. But in reality, it is a place that is full of life. It's true that only the strongest can survive in the barren wastelands covered in sand, cacti and the scorching heat of the sun. 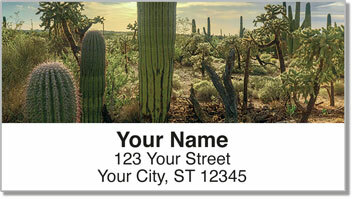 But that's part of what makes the desert such a captivating landscape. 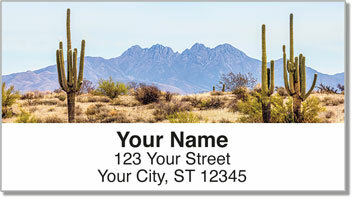 The attractive illustrations on Desert Scenery Address Labels from CheckAdvantage are an excellent choice for lovers of southwestern style. But they'll do much more than give your mail a unique look. These convenient labels have a helpful, self-adhesive backing. That means you can peel and place your name and address on every envelope instead of painstakingly writing it out by hand. 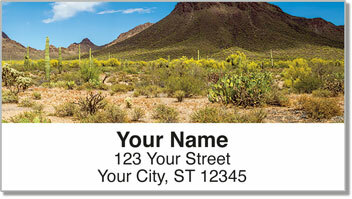 Order your own Desert Scenery Address Labels right now! 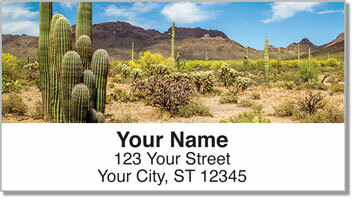 This design is also available in matching personal checks.